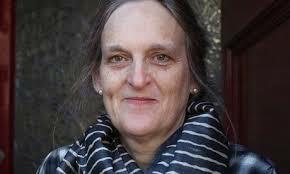 I bought Tessa Hadley’s latest novel, The Past, because of a very favourable review in Time Magazine. Ms Hadley is the author of five previous novels which have achieved recognition. She has also produced two short story collections, and her writing appears regularly in The New Yorker. The Past is about the journey of three sisters and a brother, all adult, to their grandparents’ run-down, abandoned, old home in the Somerset countryside. They meet there for three weeks of holiday in the summer to decide what to do with the house, now that their parents are dead. The house is filled with memories; their mother took them there as children when she left her husband. Conflicts, jealousies and attachments emerge during the three weeks. Fran’s two young children, Ivy and Arthur; Molly, Roland’s sixteen-year-old daughter; his third wife, Pilar; and Kasim, the twenty-year-old son of Alice’s ex-boyfriend, add interest and complexity. Ms Hadley’s writing is beautiful. The descriptions of the Somerset country are almost poetic: her fondness for rural England is unmistakable. The characters are real and well-drawn, with the possible exceptions of Kasim, who often seems petulantly distant for a man of college age, and Ivy, whose behaviour seems unaccountably contrarian. The only problem I had with The Past is that nothing of real significance happens. There is plenty of interaction among the characters which sheds light on their personalities and values. Personal histories emerge. The most significant events are the children finding a dead dog, Kasim and Molly making love, Harriet making a pass at Pilar, and one of the sisters estranged husbands’ being sent away. The inside of the dust jacket says, “small disturbances build into familial crises”, but the crises are neither grand, nor ultimately meaningful. However, if one is seeking a comfortable, quintessential British story about family, The Past would be a very good choice.